With so much going on in Israli tourism it can be difficult to keep up. Here Breaking Travel News brings you all the latest, beginning with a new ‘Accessible Israel’ online brochure, launched by the Israel Government Tourist Office earlier. Visitors to Israel with disabilities are now able to download the 22 page guide via the official website. The brochure has been written by Eli Me’iri, an experienced tour guide who specialises in creating itineraries for special needs and disabled travellers. It includes a wide range of routes available to special needs and disabled visitors not only in key destinations such as Tel Aviv and Jerusalem, but in lesser known areas in the north, centre and south of Israel. Every tour that Eli has produced in the guide will offer information about the destination and how the routes are accessible to the sight impaired, wheelchair users, those with difficulty walking, families with baby carriages and the hearing impaired. Around the northern shores of the Sea of Galilee. Neot Kedumim Biblical Landscape Reserve. Tel Aviv, including the Palmach Museum and the Tel Aviv Port. Mount Herzl and Yad Vashem. Border Observation Point in the Negev. Ein Feshka Nature Reserve and Qumran on the Dead Sea. Visitors to Jerusalem’s Old City can also now download a free app that offers 16 self-guided audio walking tours, complete with maps, videos, photos and further information to enhance their experience. 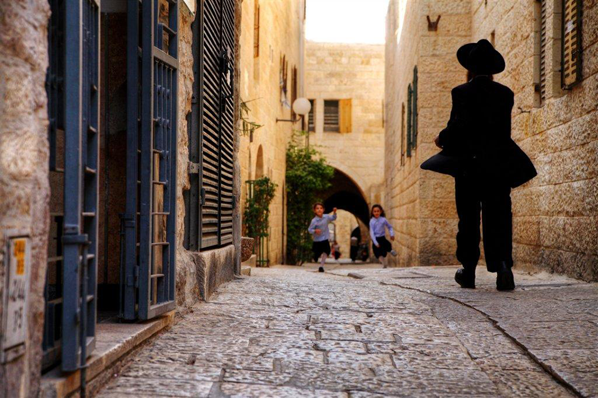 The app offers tours in English, Russian or Hebrew and will take visitors on a stroll through the Old City’s historic, religious and cultural sites, as well as down its lesser known yet enchanting alleyways. In the footsteps of Christian sects. 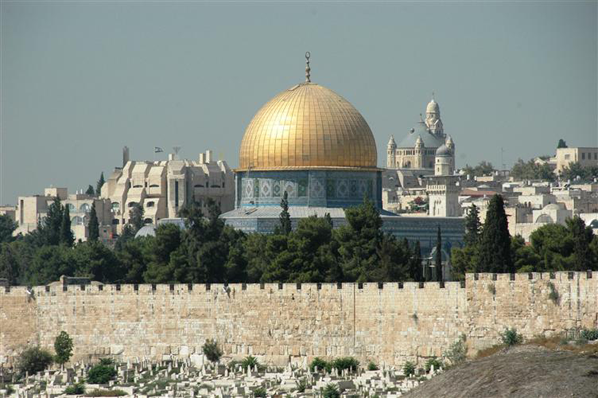 Jerusalem in the First and Second Temple period. From Mount Zion to Jaffa Gate. Marketplaces in the Old City. For visitors without a smart phone, coloured brochures detailing the walking tours of the Old City are available from hotels, tourist sites and the city’s tourism offices. In a sign of the quick pace of development of local tourism, the Israel Ministry of Tourism and the Israel Investment Administration recently announced they have received 32 grant requests for the construction and expansion of hotels throughout Israel. If granted, this would provide an overall investment in the country’s tourism industry of NIS2.5 billion (approximately £500 million). Grant requests include ones for hotels in some of Israel’s leading tourism regions and cities such as Eilat, Haifa, Jerusalem, Tiberias, Beer Sheva and Netanya. The requests include two hotels in Carmiel, in northern Israel, which will include one 100 room property with an investment of NIS50 million (£9 million) and a luxury 72 room property with an investment of more than NIS66 million (approximately £12 million). Most of the ministry of tourism’s assistance to entrepreneurs and investors in the hotel industry is carried out via grants within the framework of the law to encourage capital investment and in line with the national priority area map for tourism. As a result, the ministry can approve grants of up to 20 per cent of the investment, and up to 28 per cent of the investment in high priority areas such as Jerusalem and Tiberias. Noaz Bar Nir, director general, Israel ministry of tourism, said: “An increase in the supply of hotel rooms will directly contribute to reducing the cost of vacationing in Israel, in line with the reforms spearheaded by the ministry of tourism in order to increase incoming tourism. “The ministry of tourism is making significant efforts to encourage the construction of new hotels within the framework of the law to encourage capital investment, and investors are expressing their confidence in the expected growth in this industry. In a further boon to tourism, Israel’s cabinet has recently approved the signing of the Open Skies agreement with the European Union which had been initiated in 2012. This deal is scheduled to allow more EU flights, ultimately lowering the prices of flights to and from the country, and therefore increase incoming tourism. From 2013 onwards, weekly frequencies will be added from Vienna, Paris, Frankfurt, Athens, Rome, Madrid, London, Milano, Berlin, Barcelona and Munich. Naama Oryan-Kaplan, director, UK & Ireland, Israel Government Tourist Office commented: “During 2012 Israel received 200,000 tourists from the UK visited Israel and total of 3.4 million worldwide. “There will be many options for new carriers to enter the Israeli market, including low cost carriers who previously were unable to fly due to regulatory issues, and the option for Israel to become a layover hub. According to data from the Federation of Israeli Economic Organisations, the agreement will lead to an increase of 250,000 tourists from Europe during the first year of its operation. This means the creation of nearly 10,000 new jobs, a significant majority of them in the tourism industry. Alongside the increased competition, the Ministry of Tourism is keen to stress that the government needs to ensure the confidence of the Israeli airline industry within the framework of the new agreement. The Israel Ministry of Tourism has launched a dedicated website aimed at the decision-makers and tourism specialists working in the conference and incentive market. Under the slogan “Israel. One place. Endless Possibilities”, the site, which is available in English and Russian, portrays Israel as a modern, vibrant country with a very wide range of hospitality, conference and incentive options. Included within the website are videos, images, and information including contact details of relevant service providers and Israel Government Tourist Offices around the world. Israel can accommodate conferences from 50 to 10,000 participants in hotels and universities with state-of-the-art convention facilities. Hotel accommodation can be suited to all tastes and budgets – from luxury hotel chains in Tel Aviv and Jerusalem to spa resorts in Eilat, the Galilee and Dead Sea, and pastoral settings such as kibbutz guest houses and hotels. Visit the official site, here. In celebration of these develops in Israli tourism, and the industry across the region, Jerusalem will next week host the 2013 International Tourism Summit. The event will serve as a summit of innovation and showcase discussions about the latest ground breaking technologies and trends introduced by key players of the tourism world. This year a special emphasis will be placed on ‘Urban Tourism’ as well as innovative technologies in the world of tourism and travel. Global leaders, academics and experts in the field of hospitality will conduct panels discussing a wide range of issues affecting the tourism industry and a special panel will focus on technology in tourism, including tourism-related ‘apps’. The event will leverage Israel as a Start-Up Nation, and Jerusalem as a leader of technology. Take a look at the list of speaks signed up for the event, here.